Good morning. I am delighted to welcome you to the Internet Economy Summit, our fourth edition. Launched in 2016, the Summit has fast become our flagship forum for tracking, and making sense of, the latest developments in the global Internet economy. Indeed, this year marks the 50th anniversary of the birth of the Internet. Over the past 50 years, the Internet has evolved miraculously from a network of a few computers to one that connects billions of people, machines and devices around the world. The Internet is now the bedrock of innovation and technology. It's at the heart of cloud computing, big data analytics, the Internet of Things, fintech, blockchain, AI, robotics and so much more to come. The opportunities they create extend to every business sector, every societal issue, from health and ageing to education, sustainability and the environment. This two-day Summit will be an excellent opportunity for you to share insights into the latest digital technologies and the huge potential the Internet can bring about through transforming businesses, societies and economies. My Government believes in the promise of innovation and technology. Last year, at this Forum, I outlined our major innovation and technology policies and programmes. This is an opportune time for me to update you on some of our initiatives. Over the past year, we have introduced a super tax deduction of up to 300 per cent for R&D expenditure incurred by private enterprises starting from the 2018-19 fiscal year. We have also set up an Innovation and Technology Venture Fund to co-invest in local start-ups. We have committed HK$10 billion to establish two research clusters that focus respectively on healthcare technologies and artificial intelligence and robotics technologies. We have also injected HK$20 billion into the Research Endowment Fund of the Research Grants Council to provide sufficient funding for R&D at universities. Taken together, these initiatives would considerably strengthen our innovation and technology ecosystem and provide a big boost towards our goal to double Hong Kong's R&D expenditure as a ratio to GDP to 1.5 per cent by the year 2022. For the two research clusters on health technologies and AI and robotics that I mentioned last year, we have been sounding out notable international companies, universities and research institutions. The response, I'm pleased to say, has been cheering. To date, we've received some 50 proposals, many of which are supported by an MOU signed with Hong Kong universities for undertaking joint R&D projects. We expect that the first research institutions will be setting up their laboratories at the Hong Kong Science Park before the end of this year. Our start-up scene, I'm pleased to say, is also flourishing. The number of start-ups in major public and private co-work spaces and incubators here in Hong Kong has grown 18 per cent to more than 2 600 at the end of 2018. Of the founders, some 35 per cent were from outside Hong Kong, showing that Hong Kong is an attractive place for talent and entrepreneurs from around the world. With the number of start-ups increasing, we're also sighting more unicorns here, with several of those begun at our flagship innovation and technology institutions - Hong Kong Science Park and Cyberport. Speaking of which, Cyberport is now home to more than 1 200 companies and start-ups, but we want more. That is why we have announced in this year's Budget an allocation of HK$5.5 billion for the development of Cyberport 5. The expansion, expected to open in 2024, will add about 66 000 square metres of floor space to Cyberport. Our ability to attract institutions, start-ups, talent and investment from other countries is in no small part due to Hong Kong's "one country, two systems" framework. That gives us a clear and compelling advantage in the region. This is underlined in the Guangdong-Hong Kong-Macao Greater Bay Area development. The far-reaching development emphasises co-operative development, focusing on the distinct strengths of each of the Greater Bay Area's 11 cities, that is Hong Kong, Macao and nine prosperous Guangdong municipalities. One of our distinct strengths will definitely be our international network, established over the years under "one country, two systems". An Outline Development Plan for the Greater Bay Area development was promulgated by the Central Government in February this year. It identifies Hong Kong, Macao, Guangzhou and Shenzhen as the four core cities, as well as the key engines for driving the regional development. 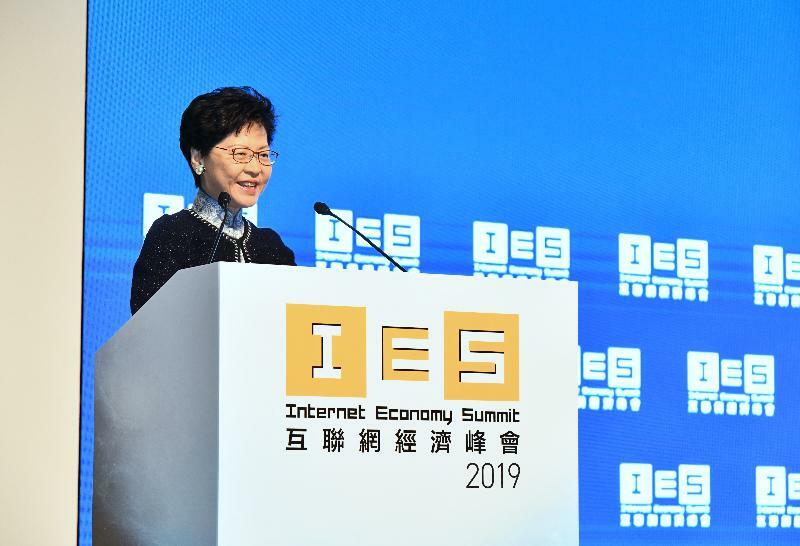 Among others, the Plan expects Hong Kong to play a key role in the Greater Bay Area's emergence as an international innovation and technology centre. 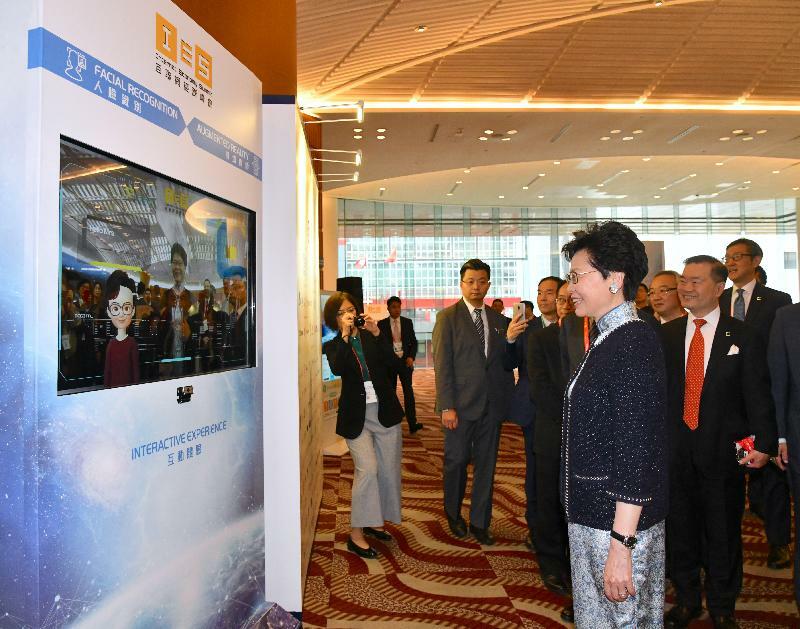 This is in line with the steer and support given by President Xi Jinping who, noting our solid science and technology foundation and a large pool of technological talent, considers Hong Kong an important force in implementing the nation's innovation-driven development strategy. Hong Kong is already at work in building an impressive foundation for our strategic role in the Greater Bay Area. The Hong Kong-Shenzhen Innovation and Technology Park, some four times the size of the current Science Park, is now under construction in Hong Kong, strategically close to Shenzhen. We are also enhancing R&D collaboration with other cities and research institutes in the Mainland, thanks to the relaxation of cross-boundary remittance for science and technology project funding. Financial technology is another important area, a growth sector we are committed to running with, for the Greater Bay Area and the Asian region as a whole. I know the Financial Secretary will be speaking tomorrow at the Summit's FinTech Forum, so I'll leave it to him to detail the considerable advances we're making, from our Faster Payment System to virtual banking, insurtech and a good deal more. But let me just say that, with innovation and technology being the focus of the Greater Bay Area development, and given Hong Kong's status as a global financial centre, the Greater Bay Area has all the potential to be both the Silicon Valley and the Wall Street of the East. 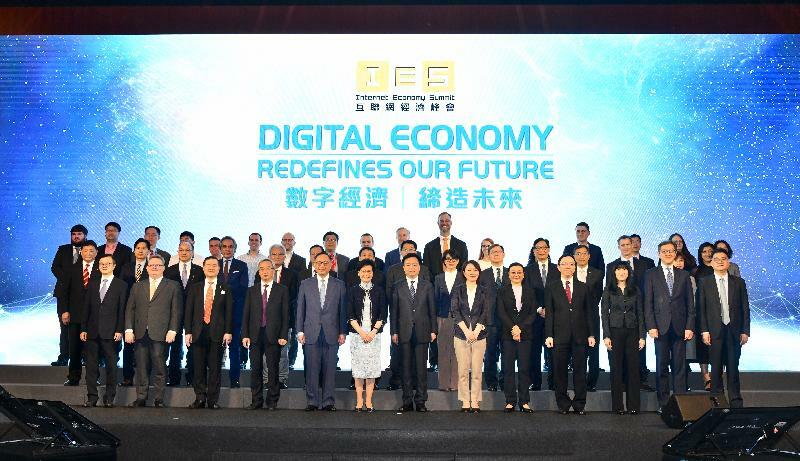 Ladies and gentlemen, the theme of this year's Internet Economy Summit is "Digital Economy - Redefines our Future". With the encouraging developments that I have outlined just now, I would say that Hong Kong's innovation and technology is developing in the best of times. In particular, with a population of over 70 million and a combined GDP of some US$1.6 trillion, the Greater Bay Area opens up new development horizon for the region and provides Hong Kong with a huge opportunity to grow our economy and uplift the well-being of our people. It is up to us all to seize this opportunity. Finally, I am very grateful to the Cyberspace Administration of China and the China Internet Development Foundation for their steadfast support for this annual Summit over the past three years. I wish you all a very rewarding Summit. And for those of you from overseas and the Mainland, I wish you a pleasant stay in Hong Kong, Asia's world city. Thank you very much.